CM D/FW is a vibrant community. The two centers bustle with activity, especially on weekends. Since the inauguration in December 1999, Balavihar activity has grown so much that we now have 2 sessions at Chinmaya Chitrakoot and 5 sessions at Chinmaya Saaket and 1 session at Chinmaya Panchavati every weekend. In order to accommodate the growing demand in the D/FW area we have another satellite center in Fort Worth. CM D/FW has an enrollment of over 1400 children who attend Balavihar classes every weekend. We are proud to have over 700 member families who support us in various ways. There are about 200 volunteer teachers who dedicate their time to teach in the Balavihar program. In addition to the Balavihar program, we also conduct cultural classes for the children such as, music, dance, languages, Slokathon and Gita chanting. 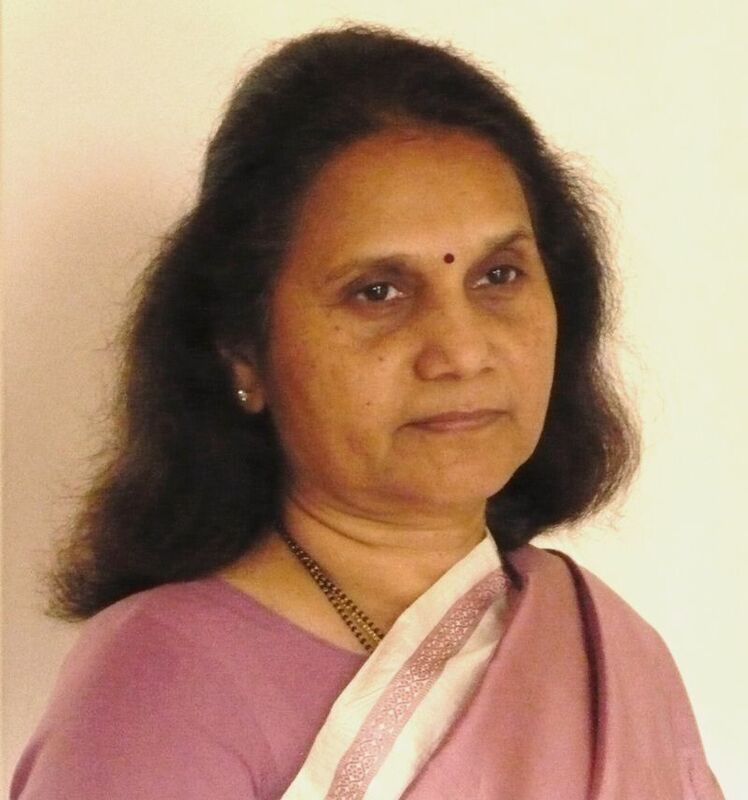 Our resident Teacher, Swami Sarveshananda Saraswati conducts several classes and study groups during the week, as well as monthly Jnana Yajnas at Chinmaya Chitrakoot, Chinmaya Saaket and other satellite centers. 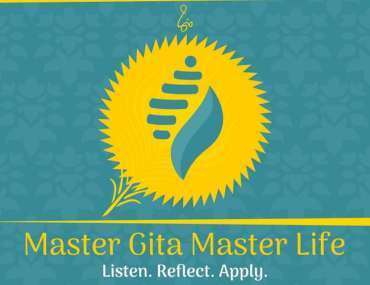 Swami Sarveshananda, Teacher P.B Ghate and Teacher Asha Ghate also celebrate all major festivals and events like Sivaratri, Ramanavami, Janmashtmi, Gurudev’s jayantiand aradhana. Chinmaya Saaket, centrally located in North Dallas, was inaugurated on Dec 26, 1999 by H.H Swami Tejomayananda. Our Vedantic learning center is a 12,000 square foot building with an inbuilt auditorium, 11 class rooms for conducting Balavihar classes and study groups, a residence for the acharya, library, and temple. Saaket literally means the abode of Lord Rama. Our center houses a temple with Lord Rama, Sitaji, Lakshmanji & Hanumanji as the main deities along with Lord Ganesha and Lord Siva. A unique highlight of Chinmaya Saaket is the beautiful stained glass Chinmaya Mission logo, which casts a soft orange glow on Pujya Gurudev’s picture in the foyer every morning. Balavihar classes are held every weekend during the academic year (Sept. to May). Following the succesful launch of Balavihar classes at Chinmaya Chitrakoot in 2010, we will continue to offer two Balavihar sessions each weekend under the guidance of our three Spiritual Teachers, Swami Sarveshananda, our resident Teacher of Chinmaya Mission D/FW, Acharya P. B. Ghate, and Acharya Asha Ghate. Chinmaya Chitrakoot was officially inaugurated on May 8, 2010 by Swami Sarveshananda. Conveniently located in Irving, the Vedantic learning center is a 22,000 square foot building with an inbuilt auditorium, 24 class rooms for conducting Balavihar classes and study groups, library. Formerly known as Bramhachari Uddhav Chaitanya, our acharya Swami Sarveshananda was bestowed Sanyasa Diksha (order of renunciation) by Pujya Guruji Swami Tejomayananda, Head of Chinmaya Mission Worldwide, on the auspicious occasion of Maha Shivaratri (March 03, 2011). Inspired by Pujya Gurudev Swami Chinmayananda, Swami Sarveshananda joined the Vedanta Course at Sandeepany Sadhanalaya in Mumbai in 1993. After completing the course in 1995, he was initiated as a Brahmachari and posted as the Resident Acharya of Chinmaya Mission, Vijayawada where he served until June, 2002. Thereafter, he was appointed as the Resident Acharya of Chinmaya Mission in Dallas, Texas, by Pujya Guruji, Swami Tejomayananda. Swami Sarveshananda is also the National Director of Chinmaya Mission Yuva Kendra (CHYK) West, the youth wing of Chinmaya Mission West. CHYK West manages CHYK chapters all across North America including West Indies. 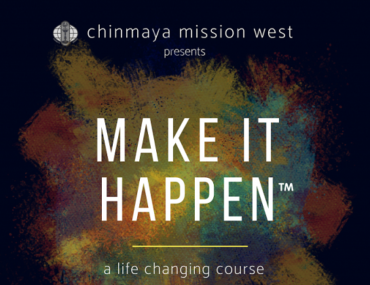 CHYK West aims to increase spiritual awareness among youth and young adults (18 – 35 years) so that they live life purposefully – with a clear and noble personal vision and an attitude of service to the community. Swami Sarveshananda was himself a CHYK while growing up in India, and received direct guidance from Pujya Gurudev, Swami Chinmayananda. 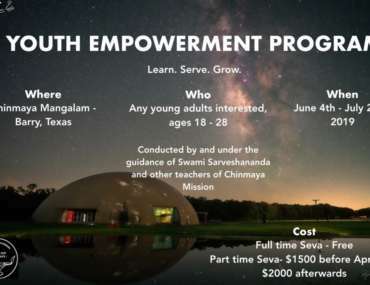 A dynamic and engaging speaker, Swami Sarveshananda works tirelessly to spread the wisdom of Vedanta through retreats, workshops, camps and innovative youth programs that inspire young people. Swami Sarveshananda has touched many lives through his service, dedication and loving presence. He is popular with children and youth because of his ability to connect with young minds. Swami Sarveshananda’s weekly schedule includes conducting satsangs, study groups, Devi groups, and Bala Vihar sessions. Shri Prabhakar B. Ghate (PBG) hails from Dharwad in the state of Karnataka. 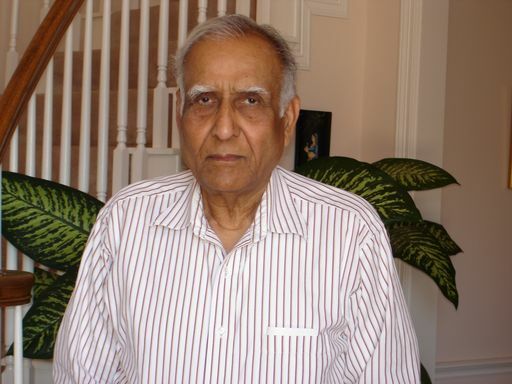 PBG came to the US in 1958 as a Fulbright Scholar after graduating from Karnataka University with high honors. After completing his Ph.D. in 1962, he joined Cornell University, where he pursued a career in research and teaching until the summer of 1966. In September of 1996, PBG moved to the Dallas area to start his long and distinguished career with Texas Instruments where he worked until January 1995, retiring as a Texas Instruments (TI) Fellow and Worldwide Manager of Reliability in the Semiconductor Division. PBG has been involved with Chinmaya Saaket since the purchase of the land in 1998, the bhumi puja, vastu puja and the installation and consecration of the deities in the Ram Mandir in 2000. He has currently been assigned by Guruji to CMDFW. When CMDFW was officially formed in 1994, Pujya Guruji appointed Ashaji as the Vice President. This was followed by her appointment as the President of CMDFW in 1997, in which position she served until 2005. 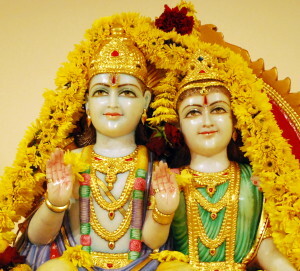 With the enthusiastic cooperation of several devotees and generous donors, in 1998 CMDFW purchased the land on Davenport Road, Dallas and construction was started at the Saaket center. The building was inaugurated on December 26, 1999 by Swami Tejomayanandaji. On January 1, 2000, Pujya Guruji also performed the murti sthapana at Saaket Temple.From Sept. 2005 to Oct. 2007, Ashaji attended the 13th Vedanta Course taught by Swami Tejomayanandaji as the main Acharya at Sandeepany Sadhanalaya, Mumbai. 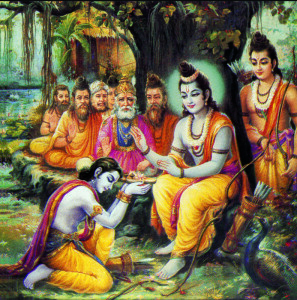 Besides basic scriptural texts, students were taught Upanishads, Shrimad Bhagavad Gita, Shrimad Bhagavatam, Valmiki Ramayana, Tulsi Ramayana and Sanskrit. Ashaji passed the Madhyama Examination in Sanskrit with distinction conducted by Bharatitaya Vidya Bhavan. Currently, she is assigned at the CMDFW Center.